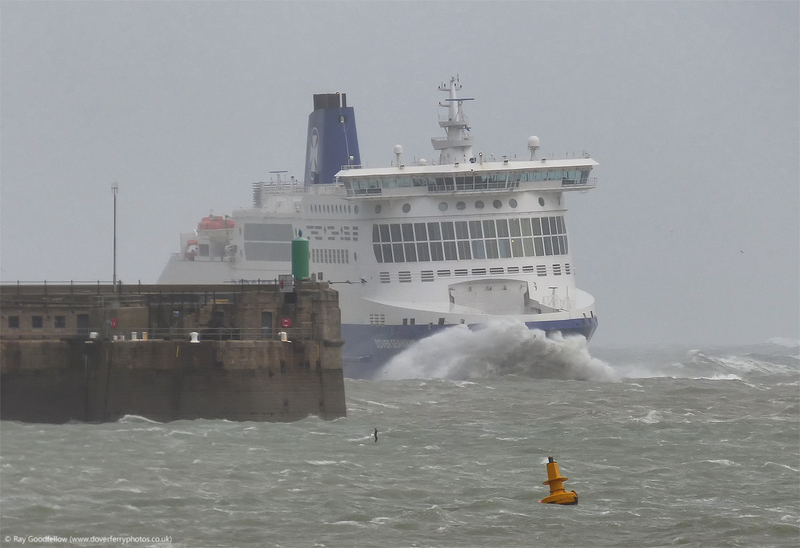 The main talking point in December was once again the weather. 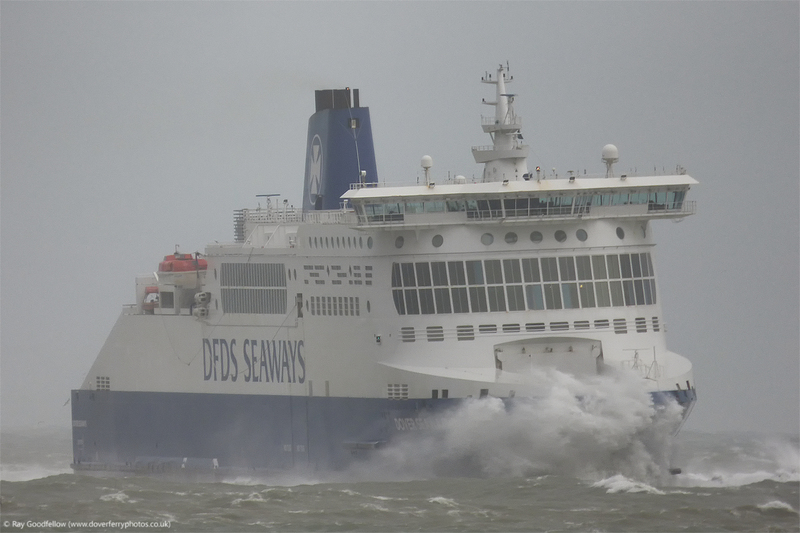 Storm Desmond hit on the 5-6th December, storm Eva hit on the 24th December and Storm Frank rounded the year off between the 29-30th of December. 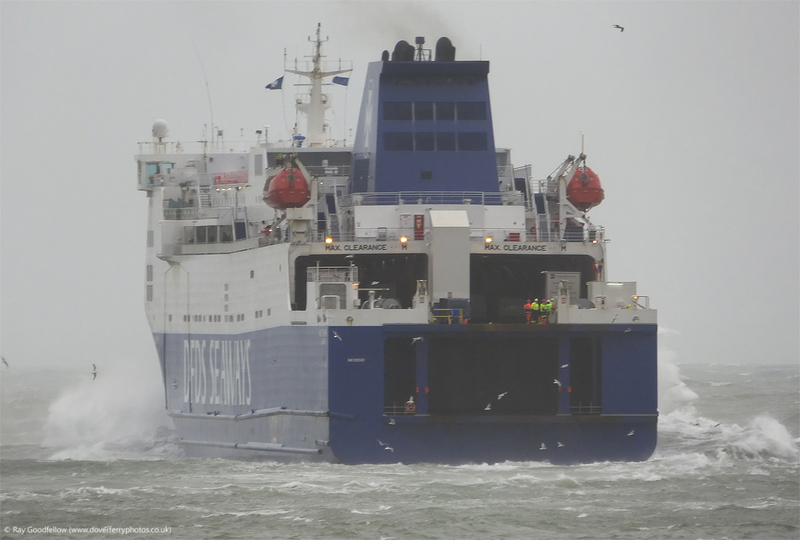 Despite the wind and rain East Kent has been lucky compared to the North of the country which has seen unprecedented flooding. 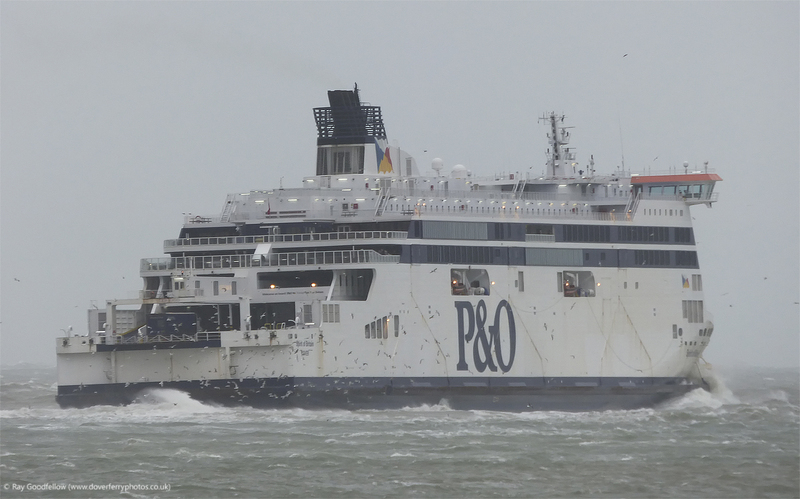 One local casualty of the often very rough seas has been the main railway line linking Dover Priory to London Charing Cross and St Pancras. 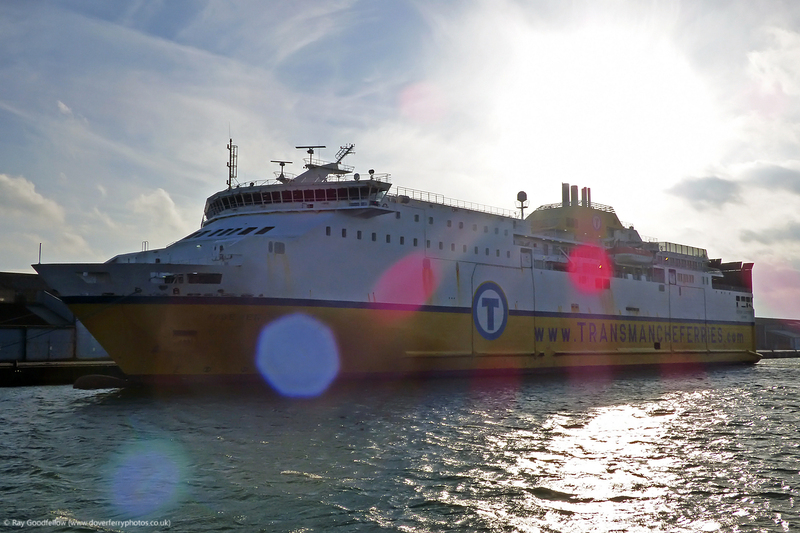 To the West of Dover the railway runs along the seawall towards Shakespeare tunnel and on Christmas Eve large cracks were discovered in the wall and sinkholes were discovered very close to the railway line. 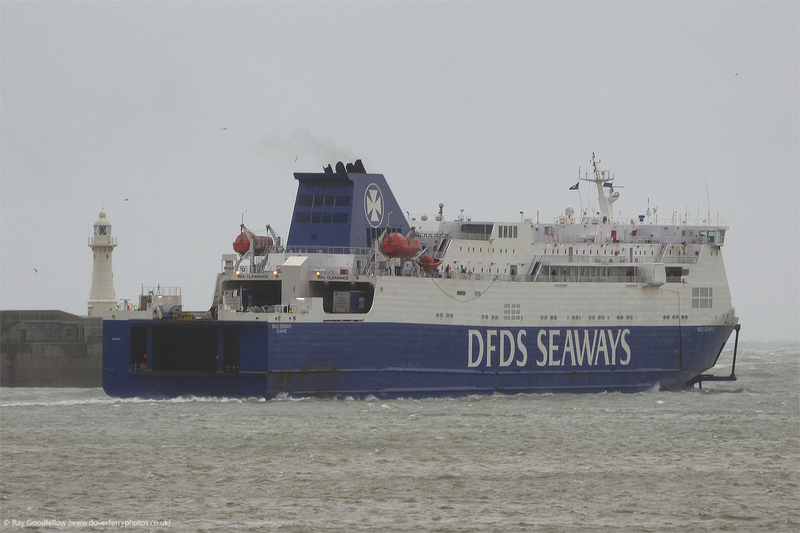 This resulted in the immediate closure of the railway line with no estimate of when it will reopen. 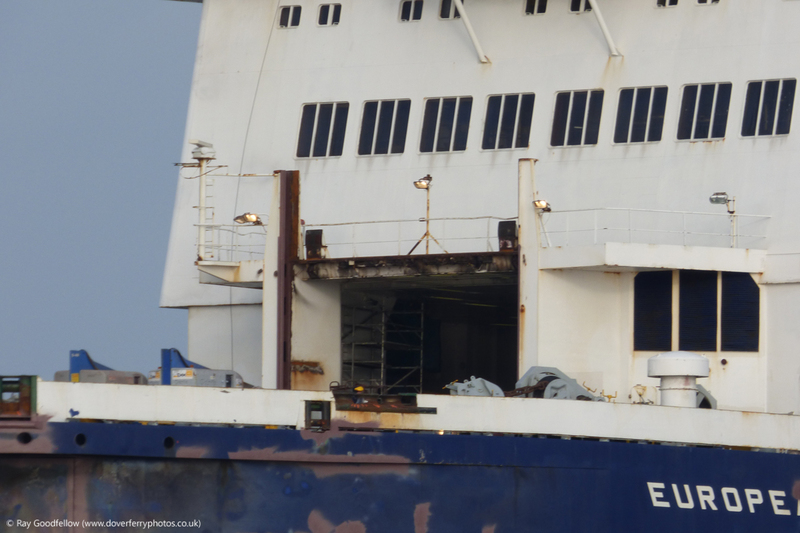 However long it takes it is going to cost millions to fix. 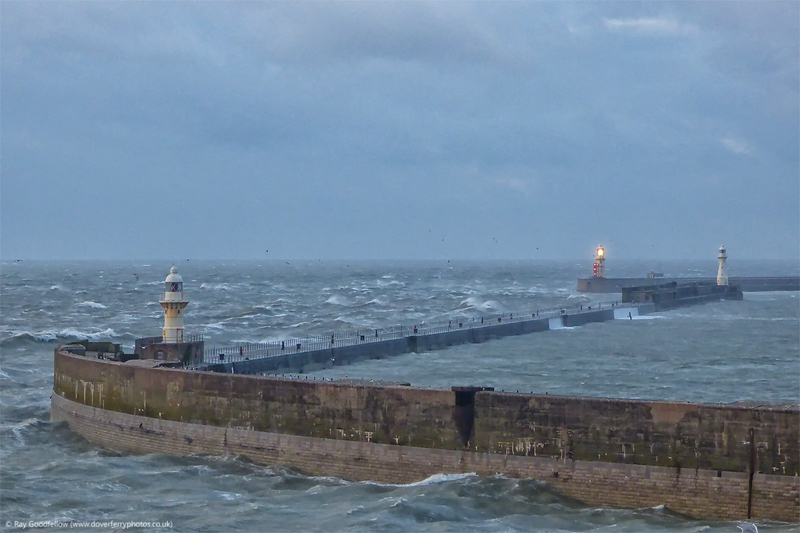 I think this December will go down as being the wettest and one of the windiest on record. 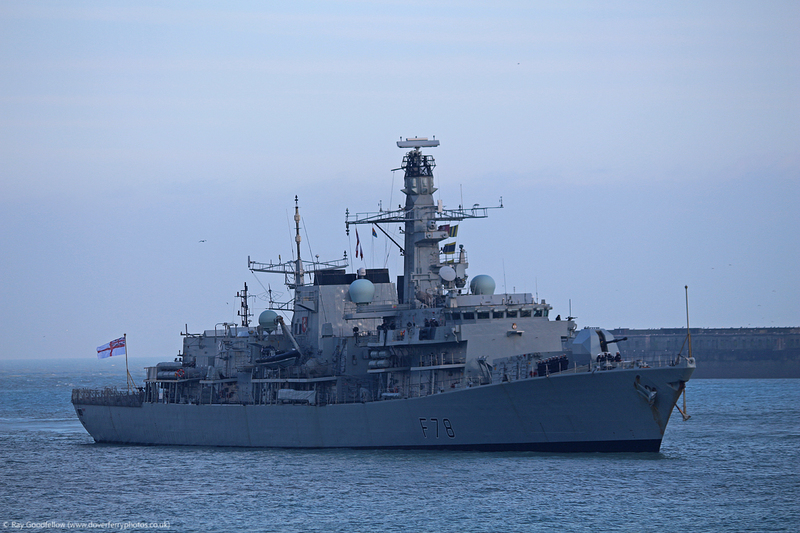 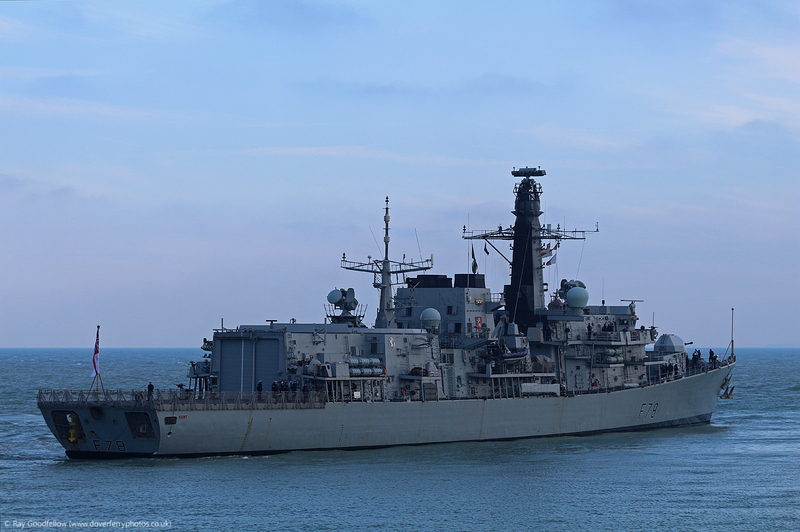 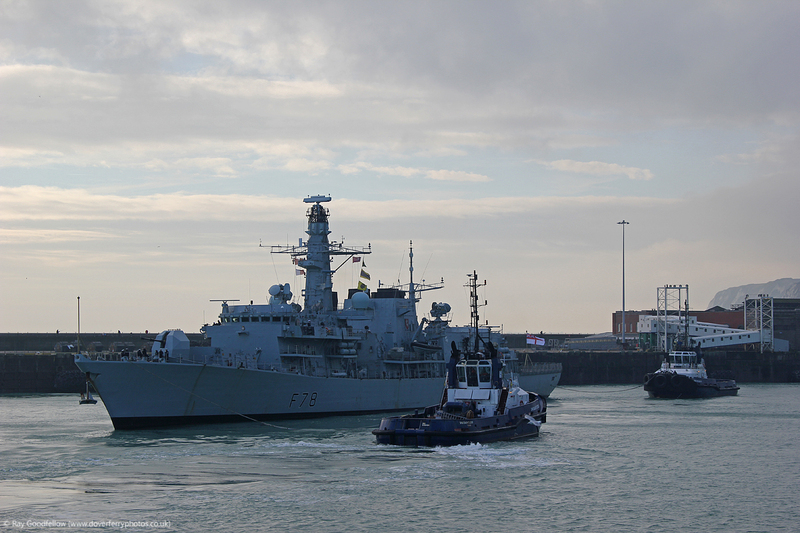 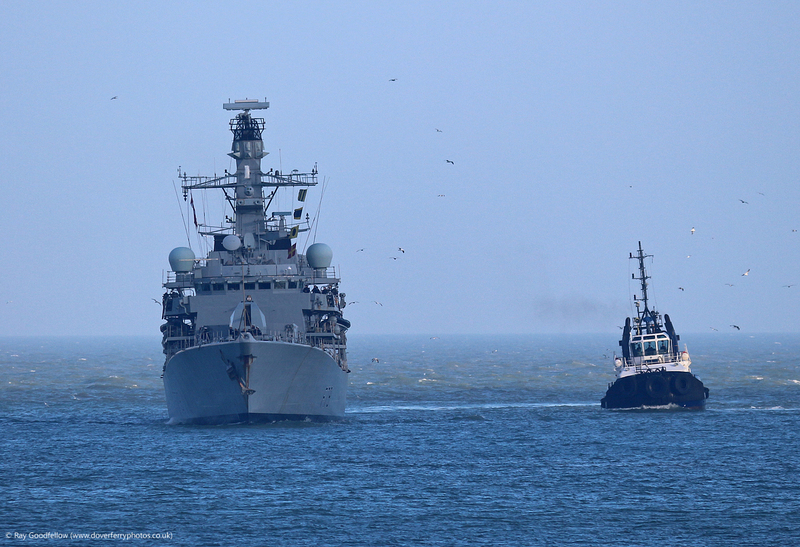 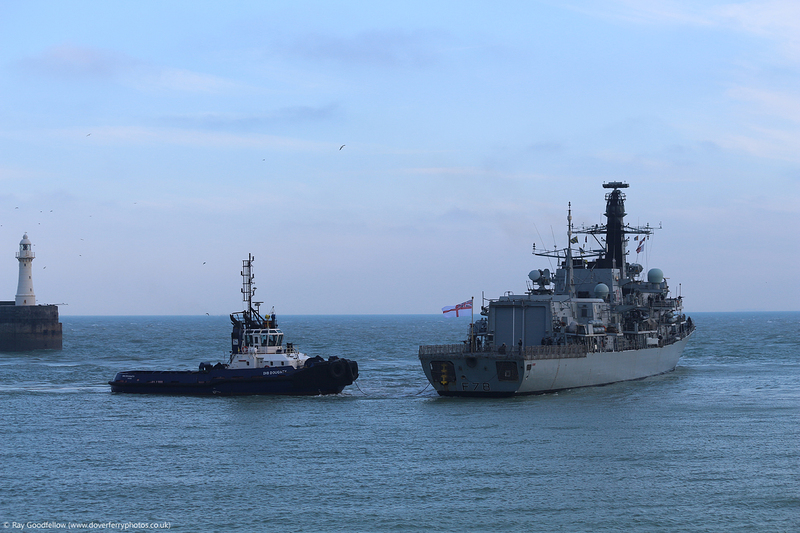 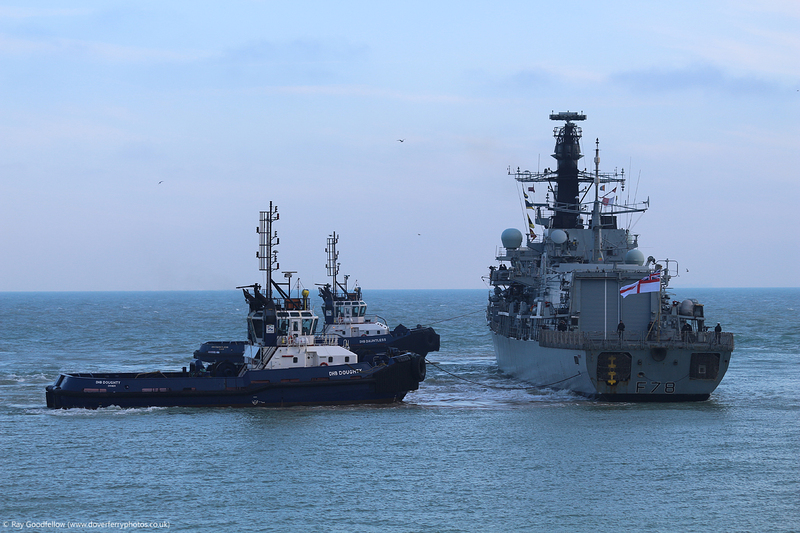 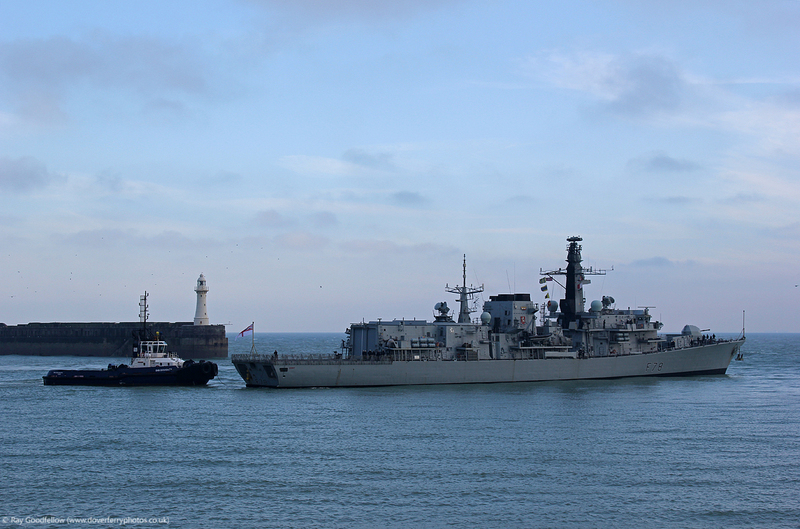 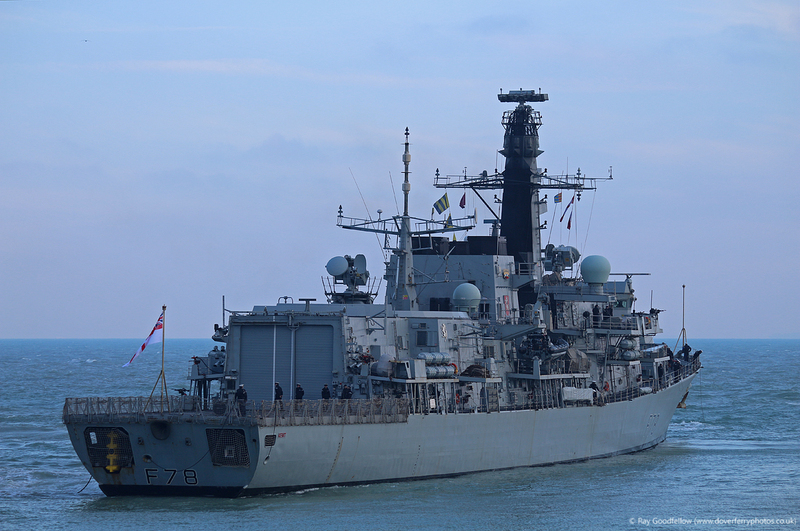 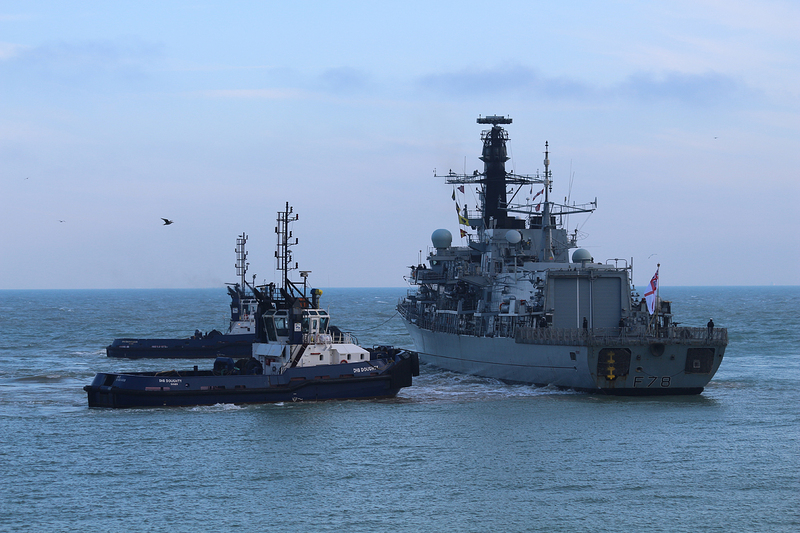 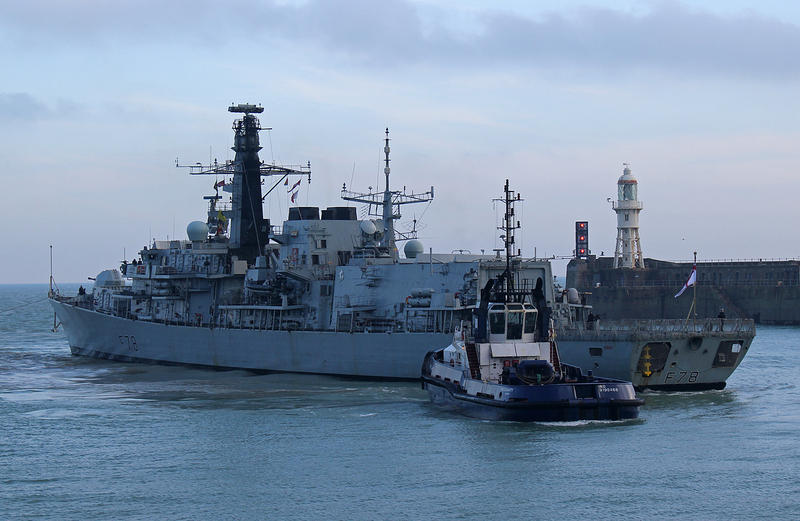 December also saw the arrival of the Royal Navy warship HMS Kent on the 7th December for a courtesy visit. 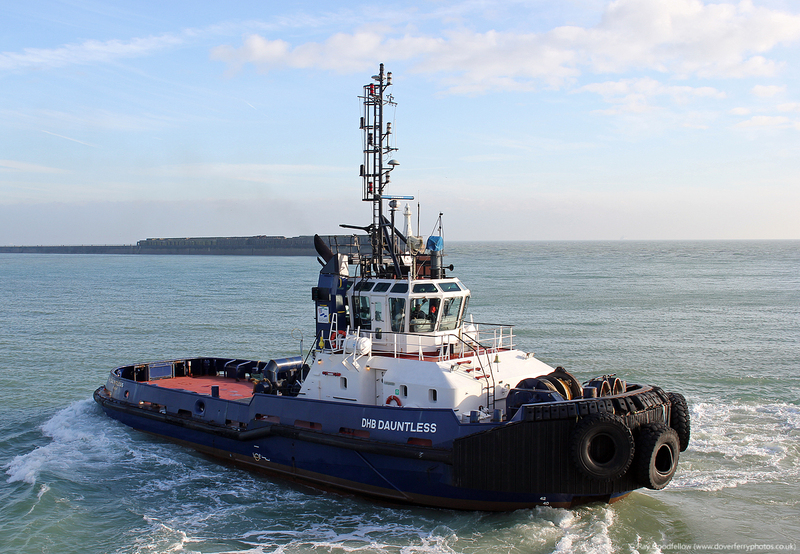 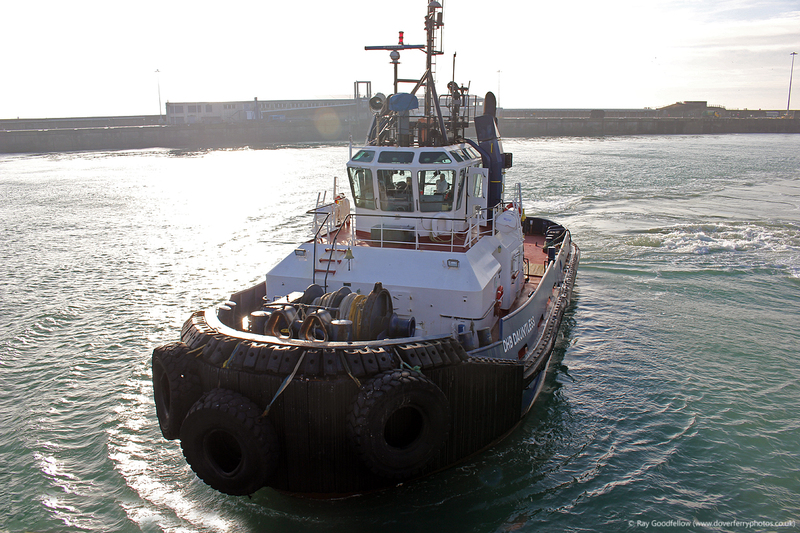 Thankfully the sun was out for her arrival and the local port tugs DHB Dauntless and DHB Doughty made good use of the assembled crowd on the Prince of Wales pier to demonstrate how maneuverable there ASD 3110 Z drive tractor tugs are (Yes I did have to look that up). 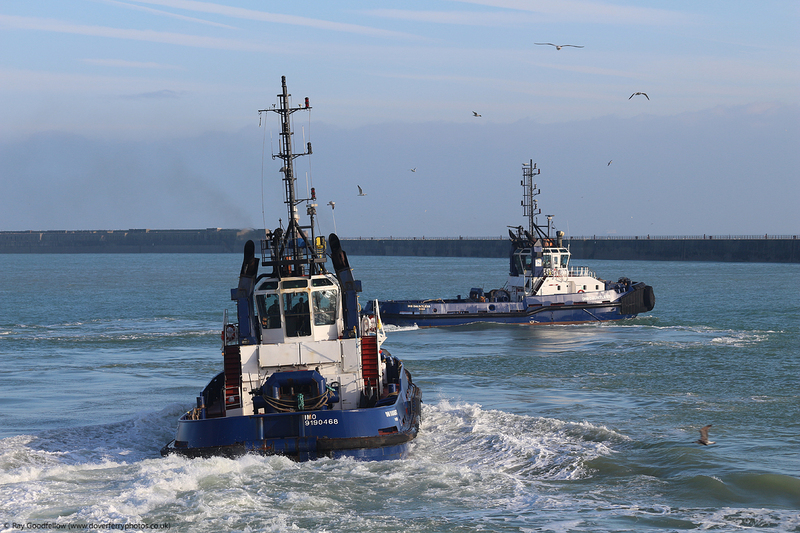 Thanks for the spectacle guys, it was rather impressive ☺ All port users know that the tugs and their crews are the unsung heros and you have certainly proved your worth over the last few months. 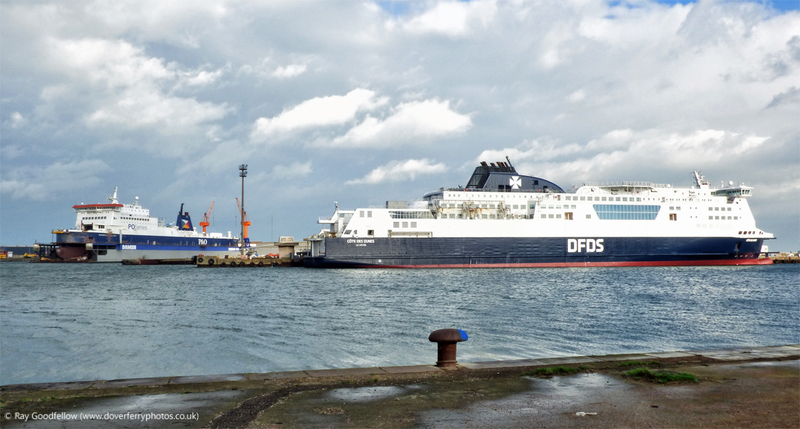 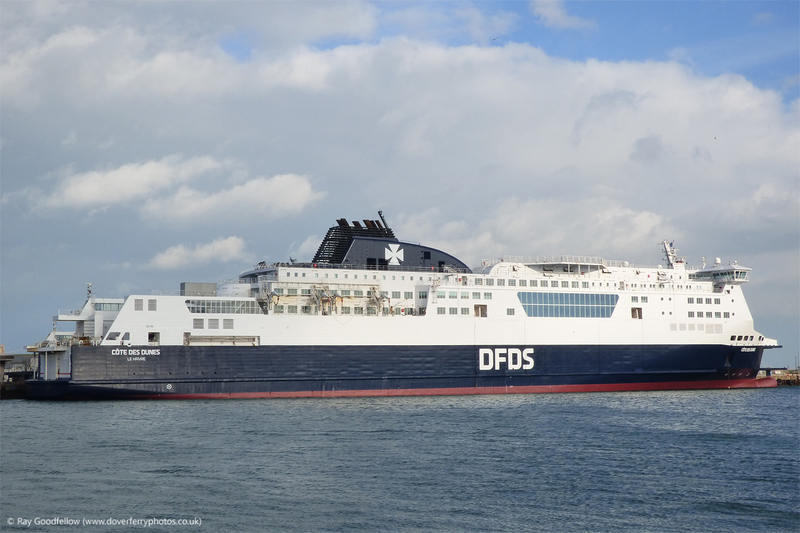 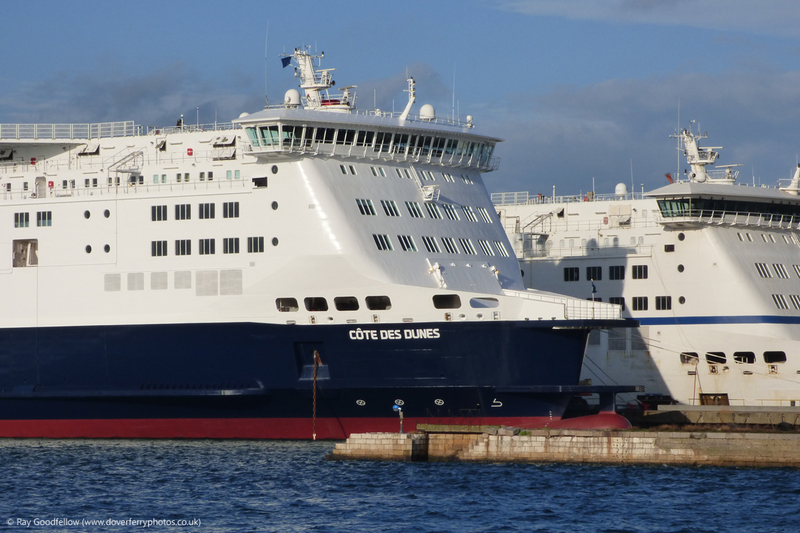 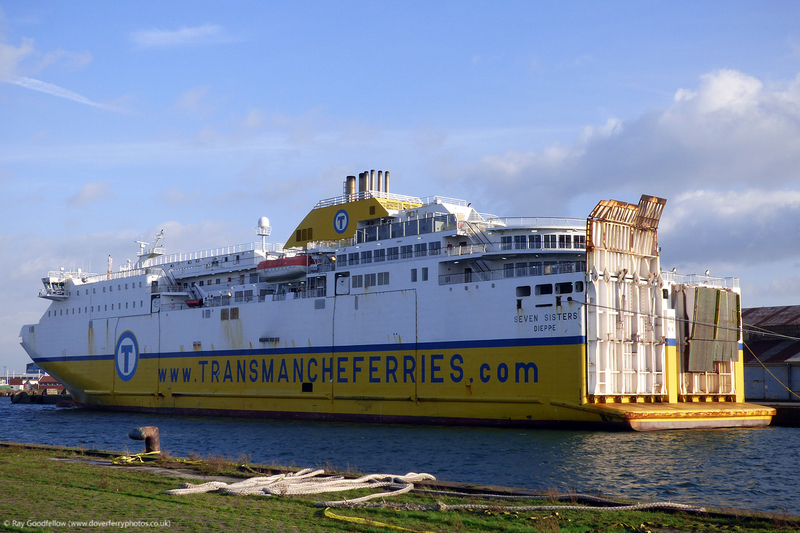 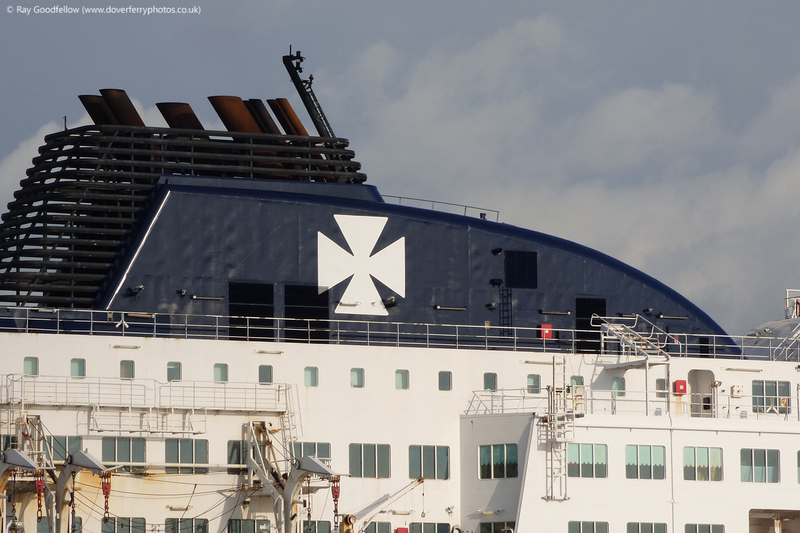 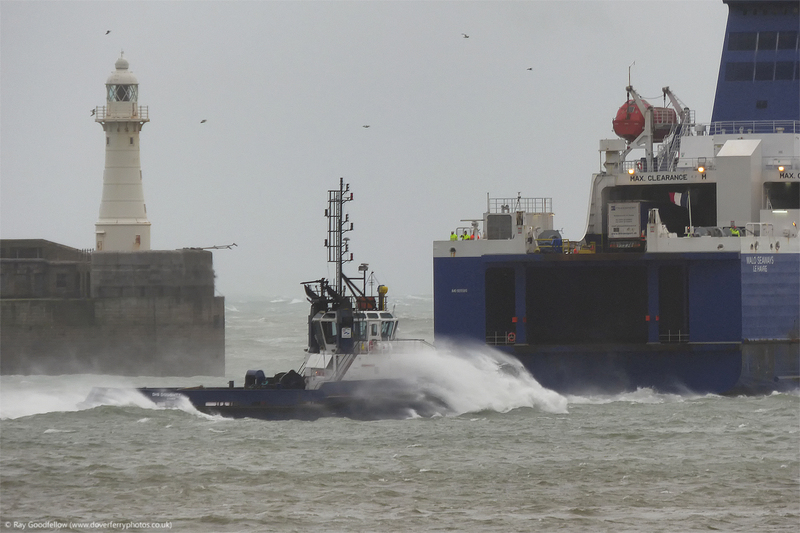 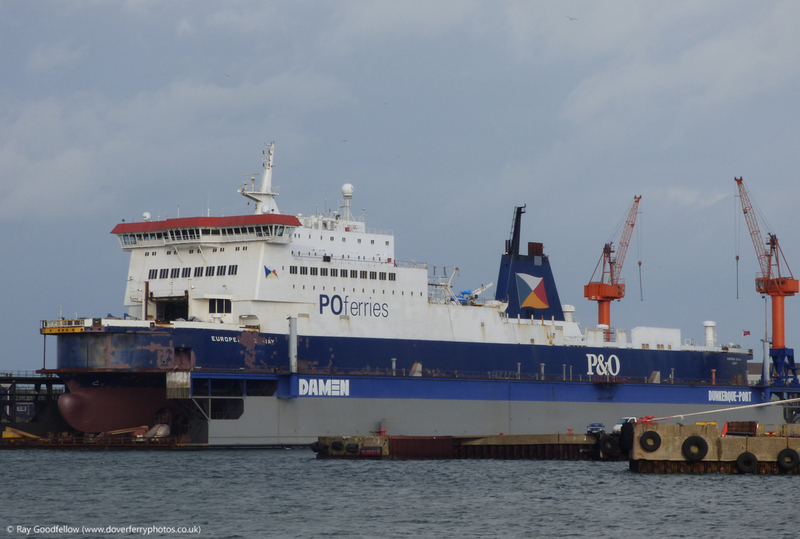 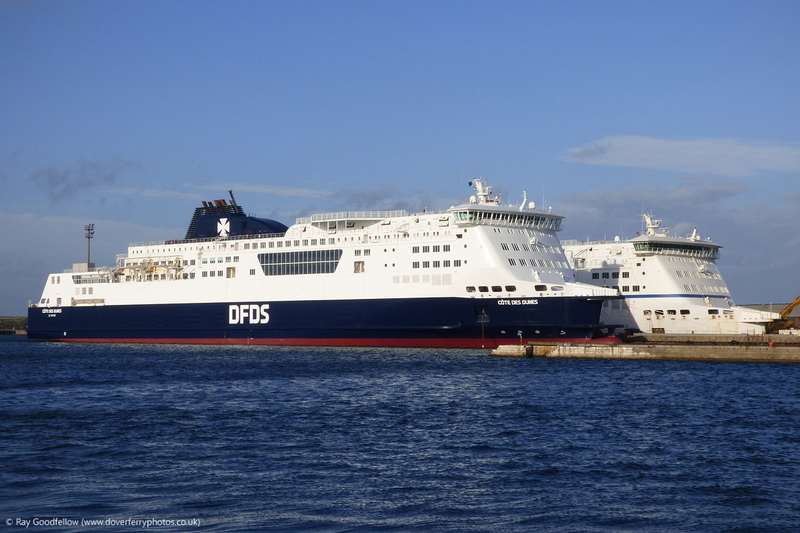 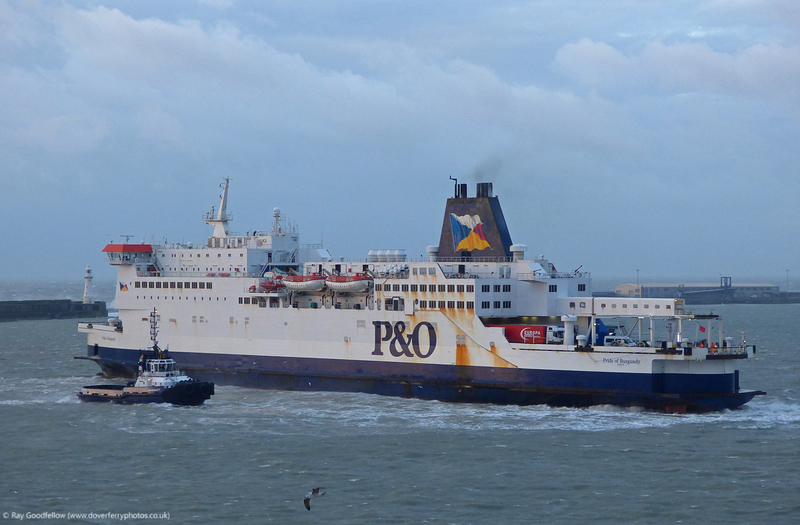 On December 16th following an unsuccessful bid to retain and operate the Nord Pas de Calais on a freight only service between Dover and Calais Groupe Eurotunnel announced that the vessel would be placed on the sales market. 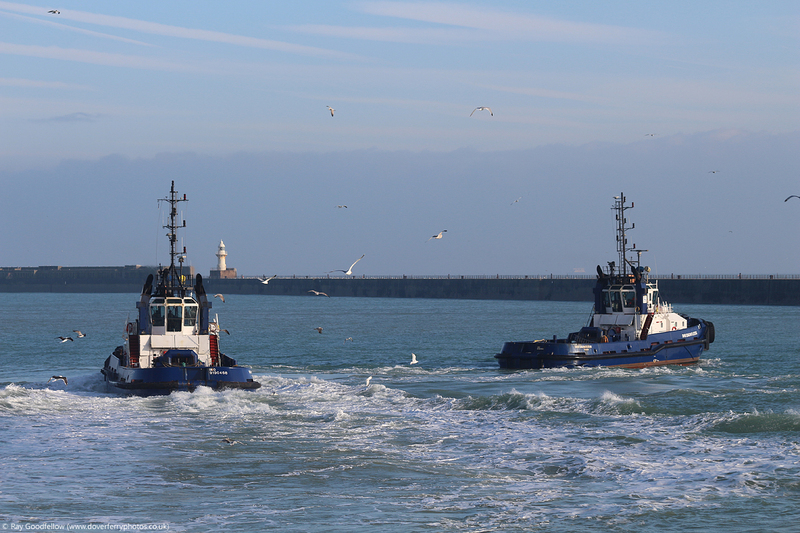 My year rounded off with a trip to Calais and Dunkerque on Christmas Eve in the grip of storm Eva. 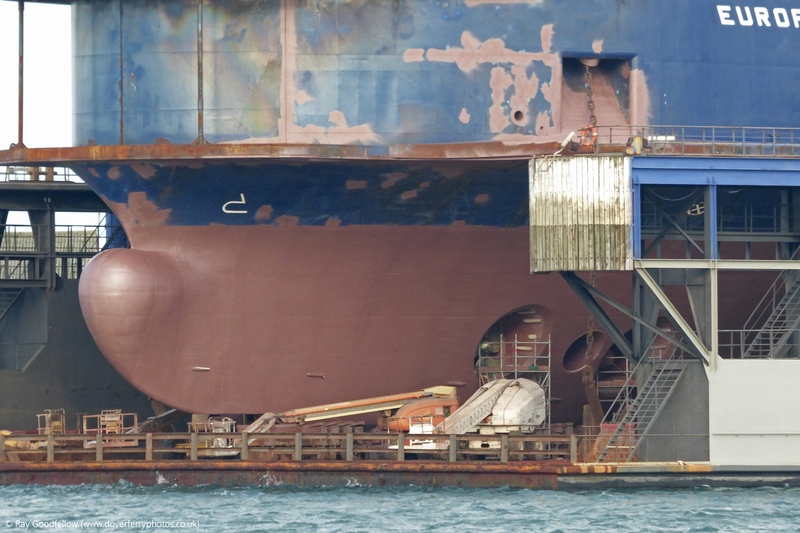 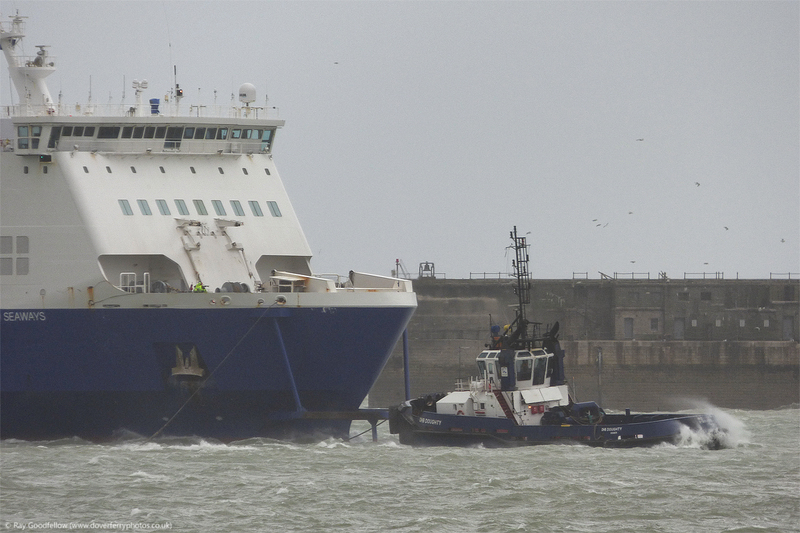 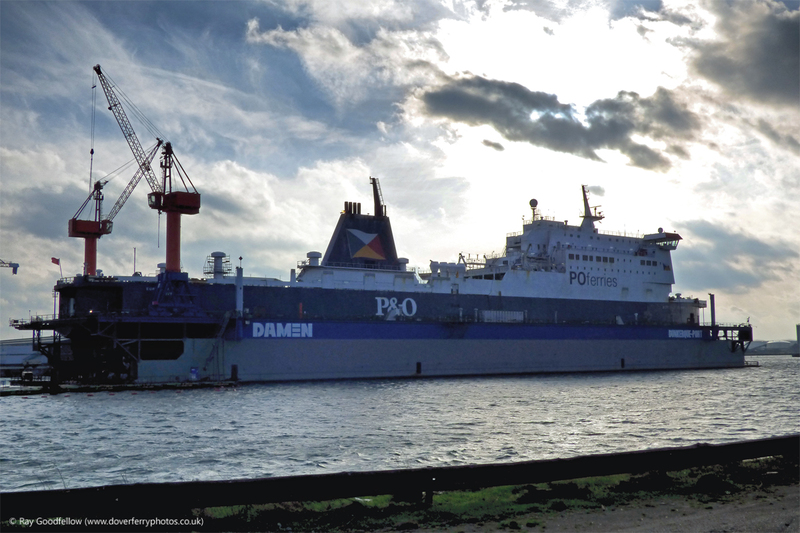 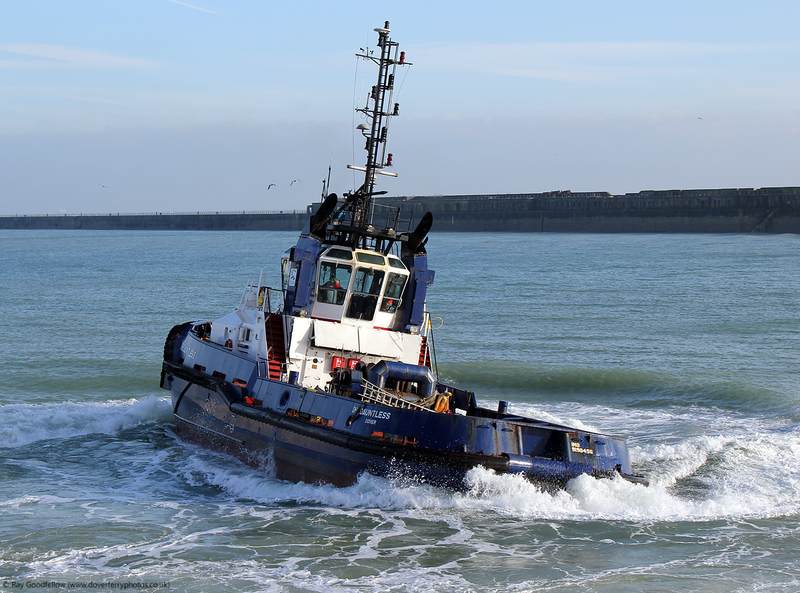 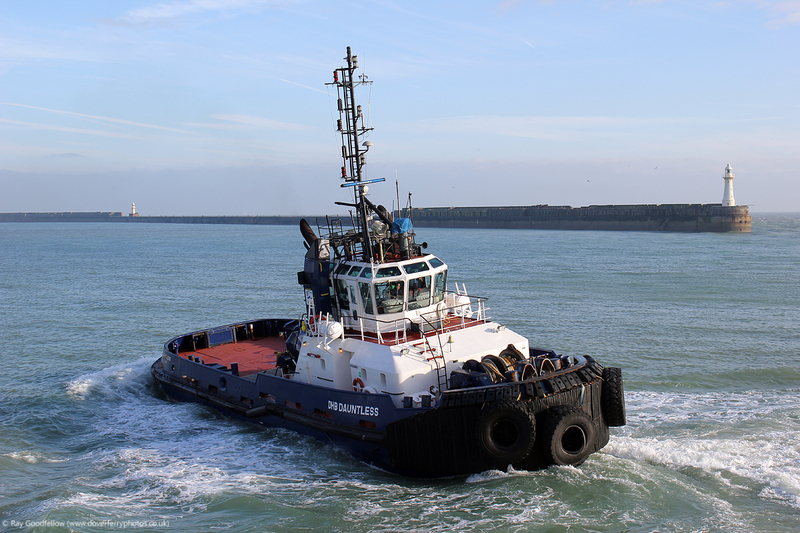 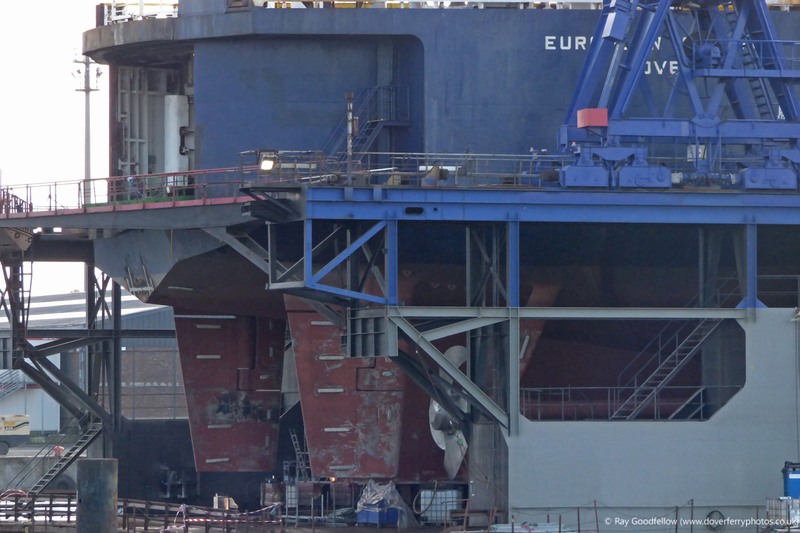 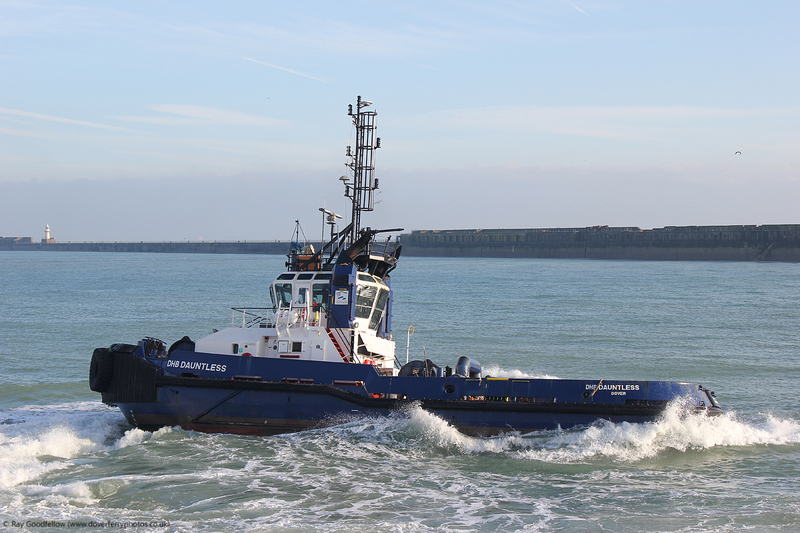 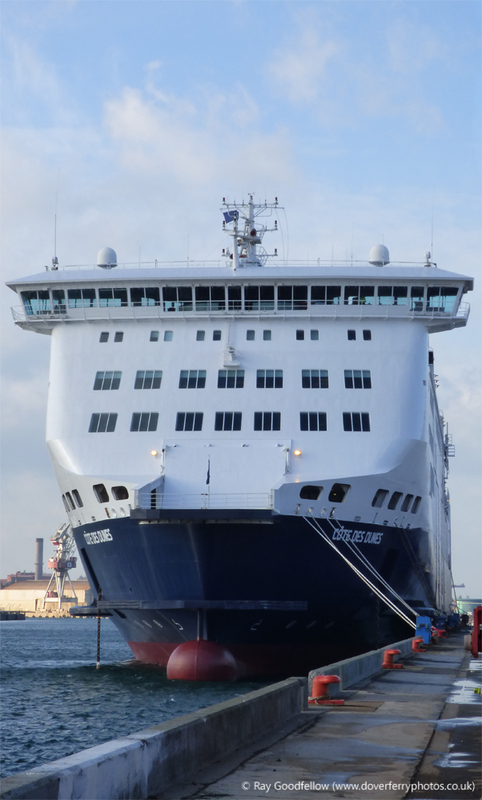 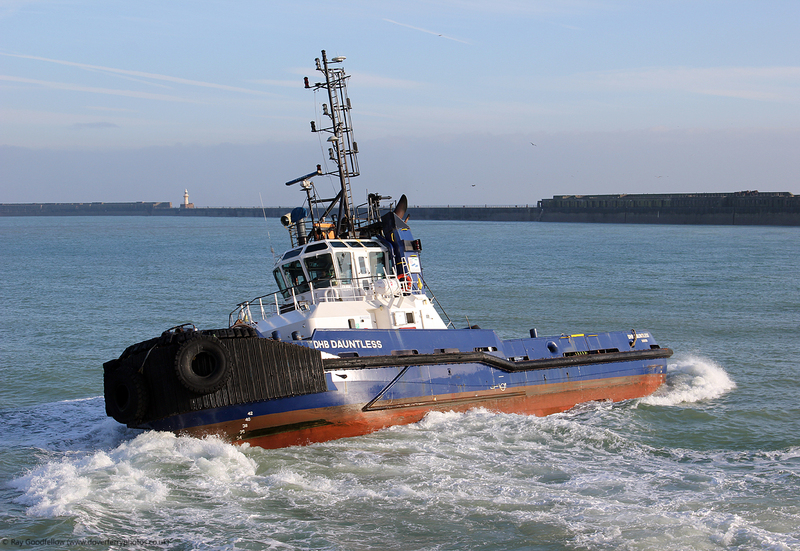 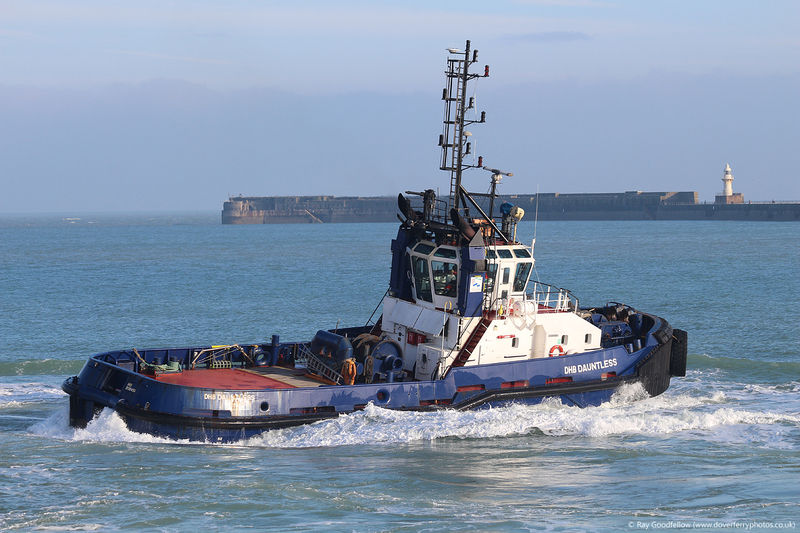 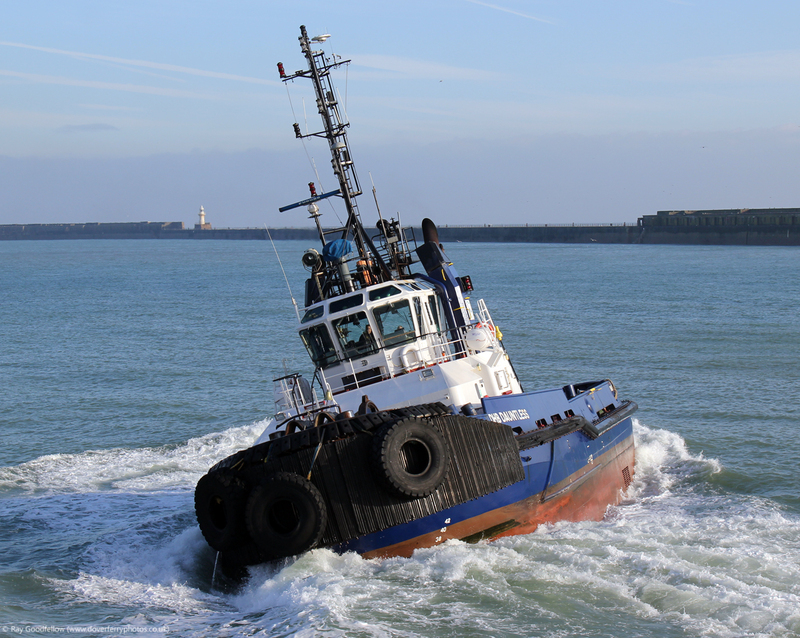 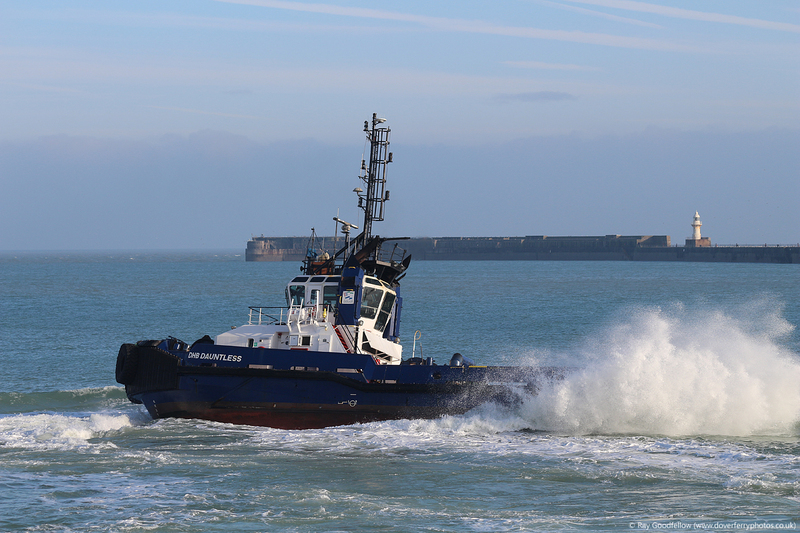 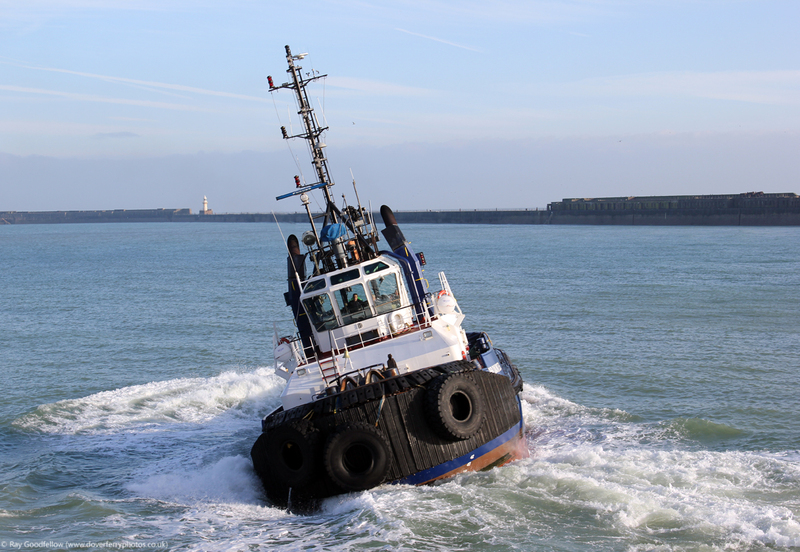 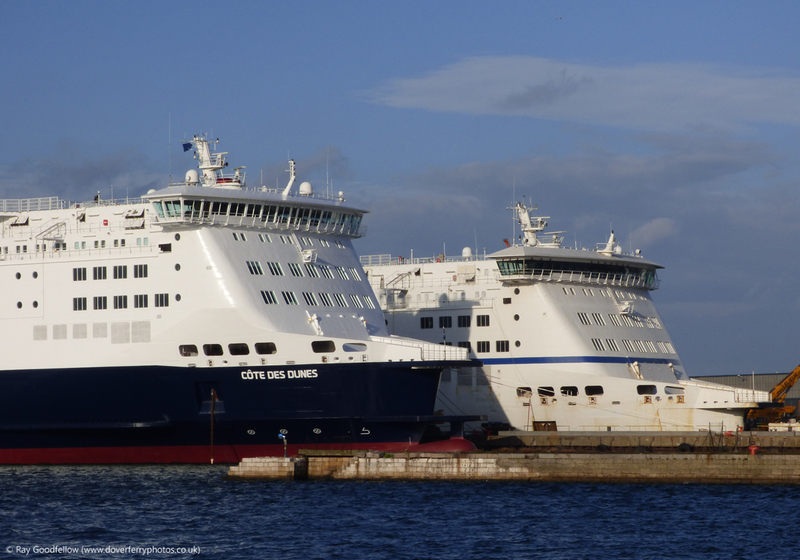 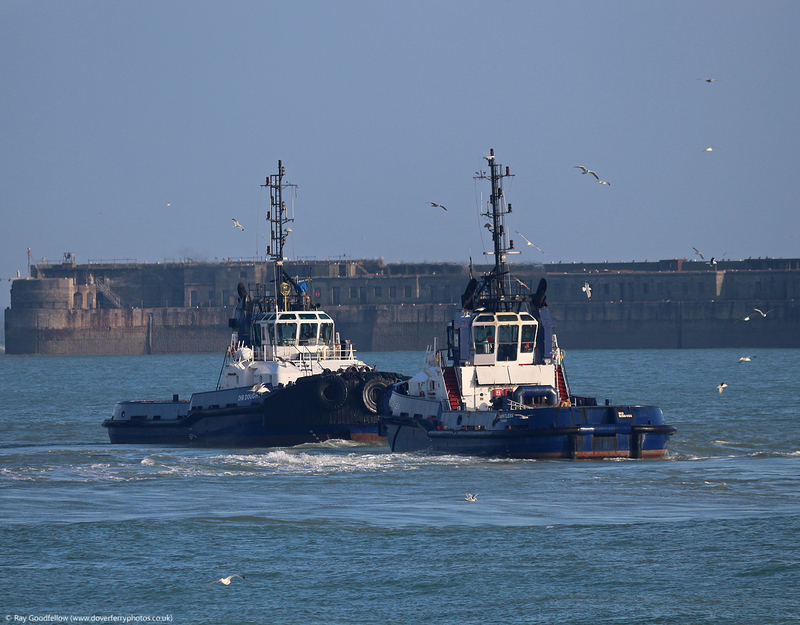 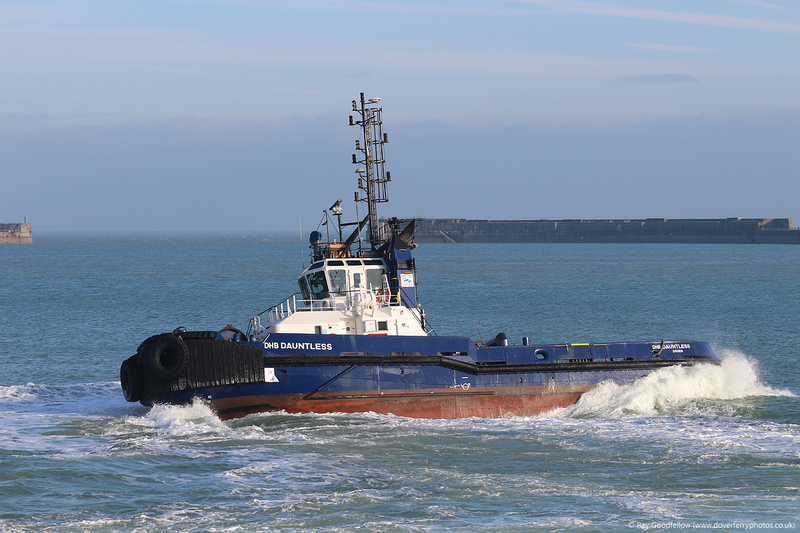 December is the beginning of refit season and no less than five ferries were in or near the Damen shipyard in Dunkerque. 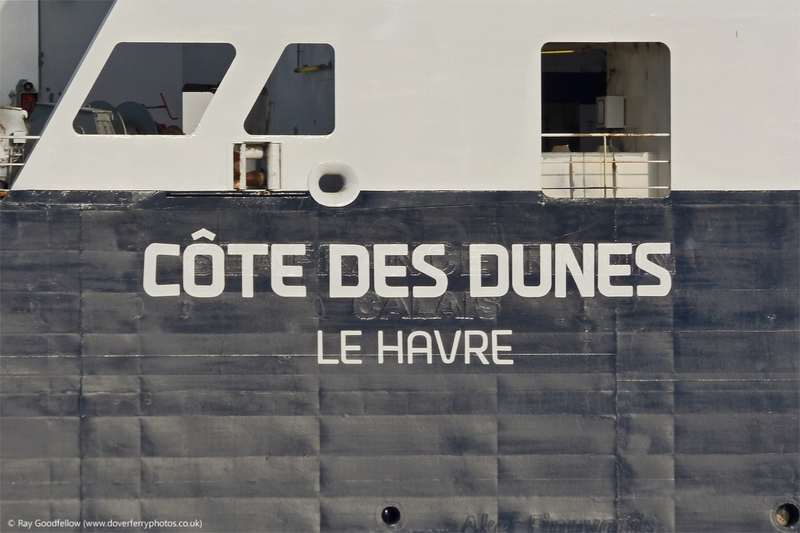 The DHB Dauntless getting up close and personal with the assembled photographers at the end of the Prince of Wales pier – now lets waltz…. 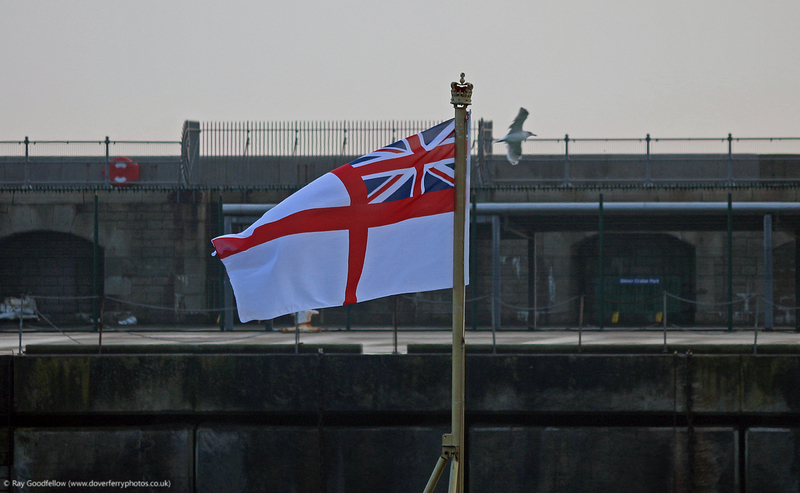 All photographs on this page were taken with either a Canon EOS 550D, Canon EOS 700D or a Panasonic Lumix FZ72. 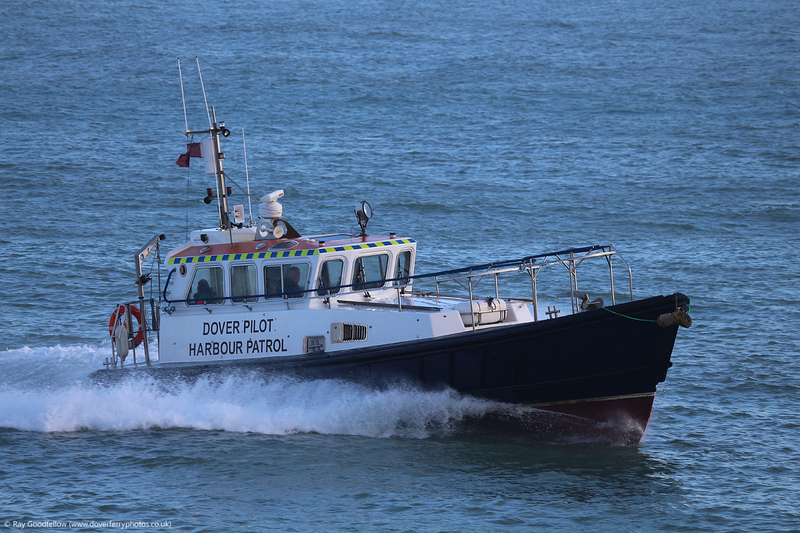 All photographs unless otherwise stated are the © copyright of Ray Goodfellow (Dover Ferry Photos) 2016, All rights reserved.